Tim Holtz Cling Rubber Stamps WORDS FOR THOUGHT cms132 at Simon Says STAMP! cms132 / 3.7 This item is on reserve until If you would like to reserve this item now, you may purchase it now with the rest of your order. We will hold your order now and ship your entire order as soon as this item is back into stock. If you would like your order to ship now, please place this item on a separate order. Success, Tim Holtz Cling Rubber Stamps WORDS FOR THOUGHT cms132 has been shared! 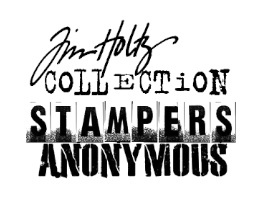 Per Tim Holtz: "this release has definitely been inspired by my travels over the past few years. our life is filled with adventures both the ones we've taken, and the ones we've yet to explore. these images certainly reflect the one thing i've said all along - enjoy the journey...there's no doubt i always have something to say so the new "words for thought" set allows my inner creative voice to say it with style. the variety of fonts mixed with thought provoking sentiments will hopefully give you plenty to say too..."